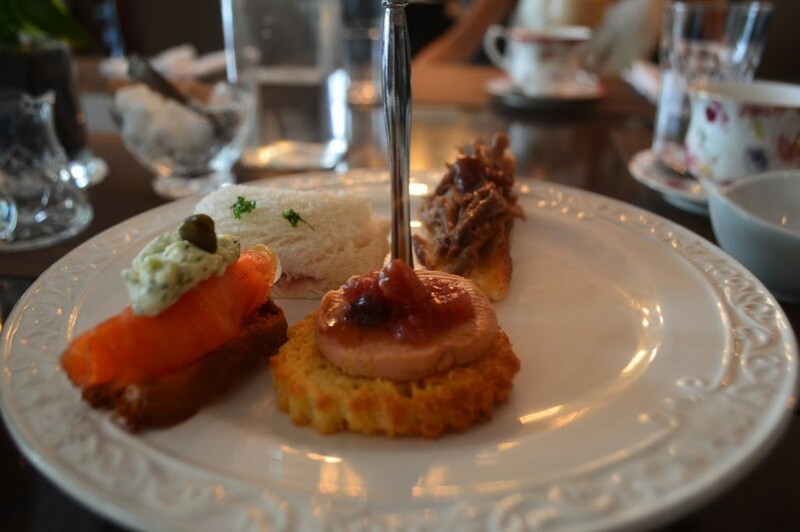 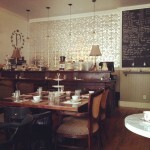 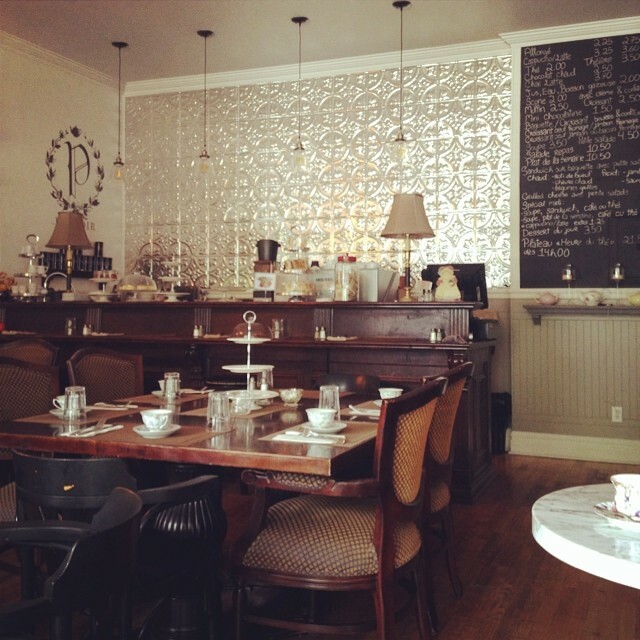 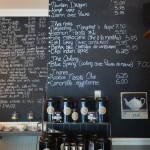 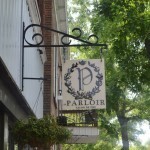 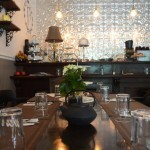 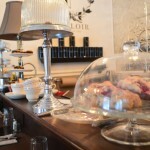 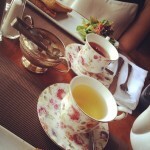 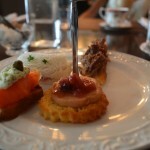 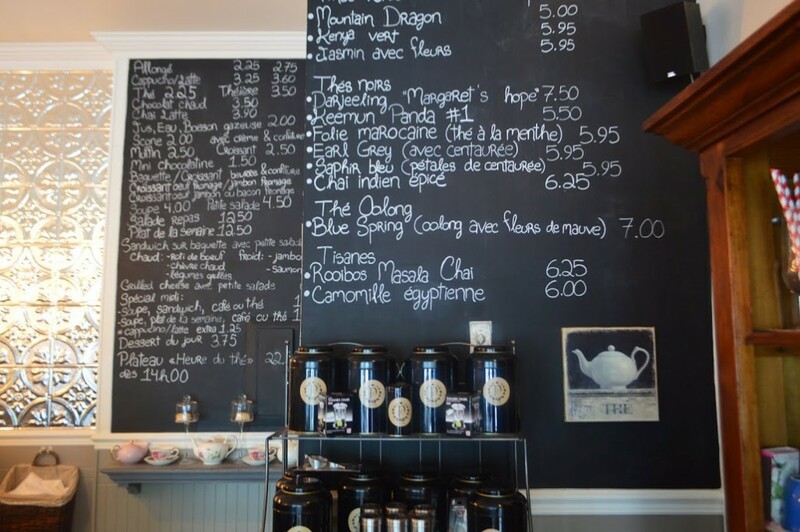 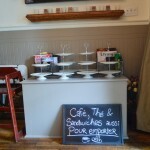 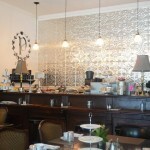 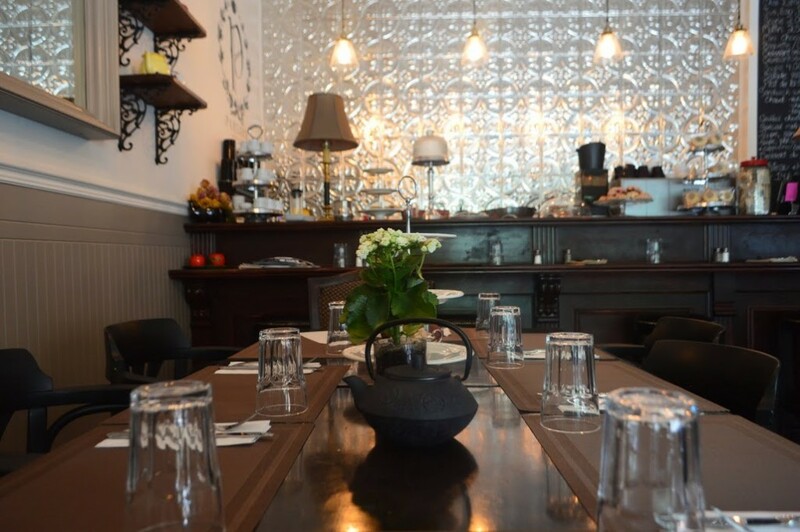 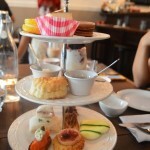 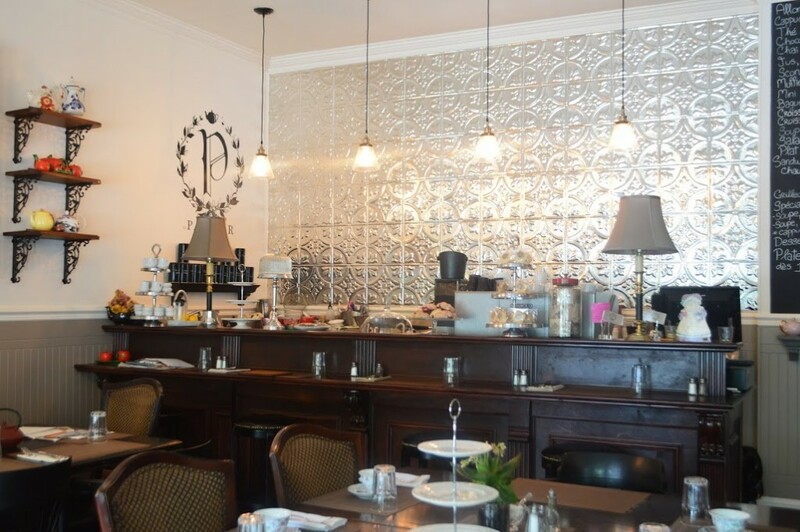 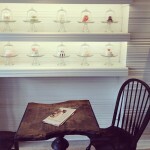 Located in the heart of the Plateau Mont-Royal, you will find intimacy and comfort in a tearoom called Le Parloir. 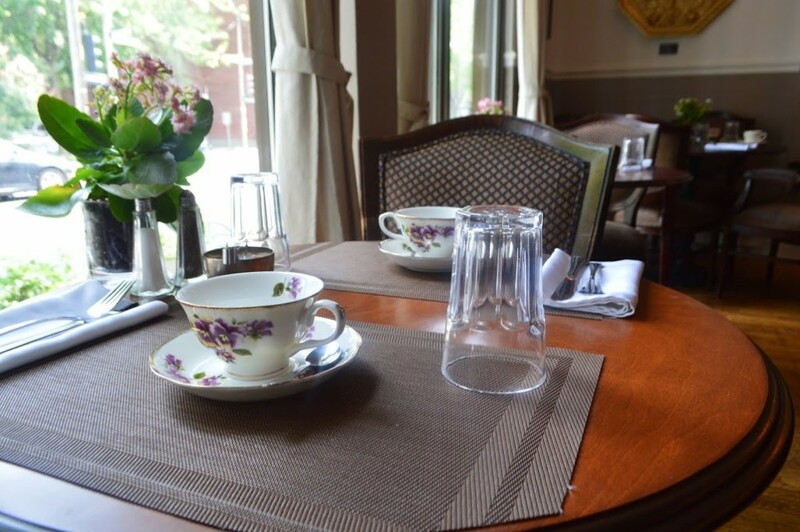 The dainty café with its European inspired decors is the perfect spot for a date with your loved one, a family reunion, or for a quick bite with friends. 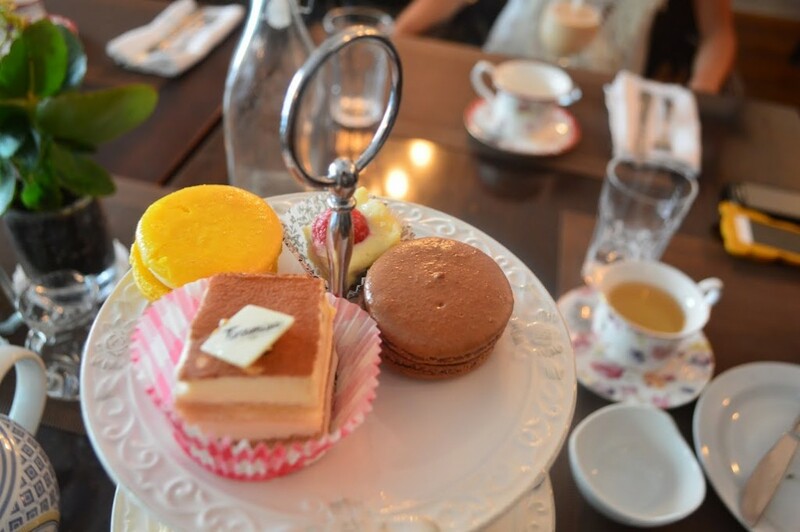 Embellished with Victorian china and a vintage ambiance, tea lovers will discover a new café/bistro to add to their list of activities. 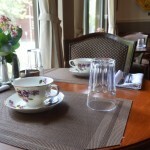 Once you enter this kingdom, you will feel like royalty. 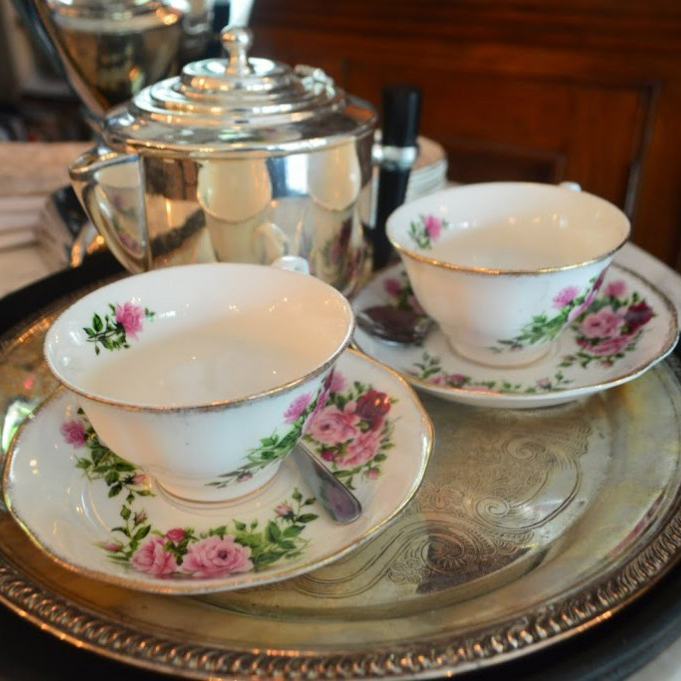 This palace is filled with perfumed flowers and with a passion for all things beautiful and charming. 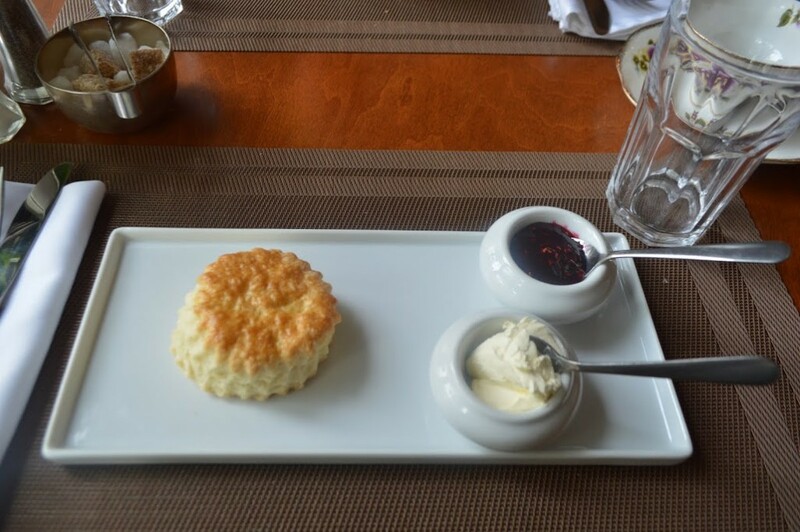 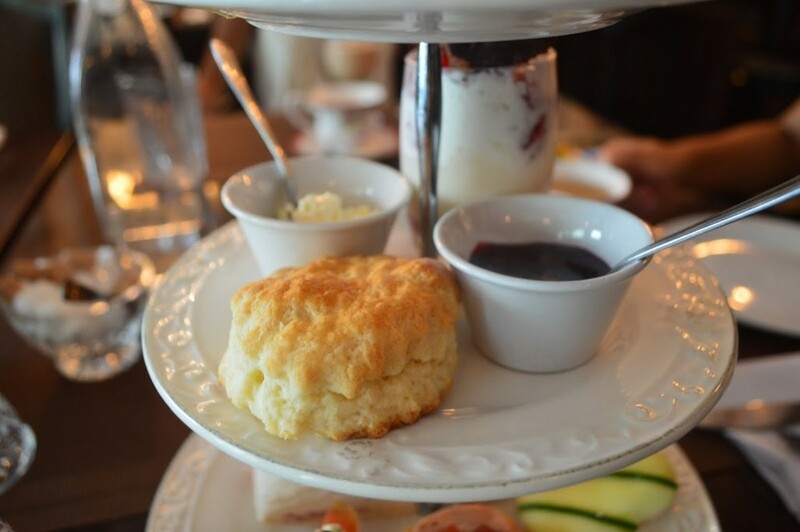 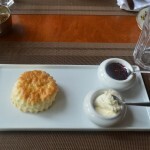 The tearoom, famous for its delicate and soft scones served with Devonshire cream and various choices of jam, offers a wide selection of teas, drinks, as well as homemade pastries and meals. 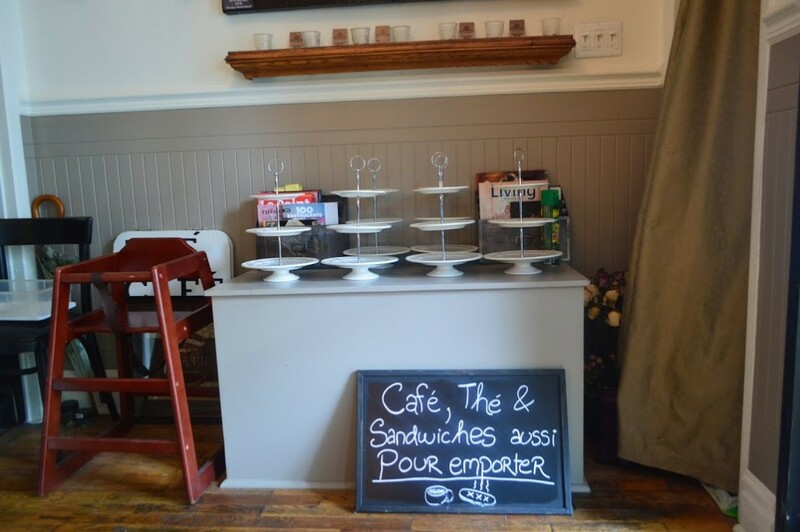 From different sorts of sandwiches, salads, soups to delightful sweet treats, Sylvie Marchand, mother of this wonderful project, will surprise your taste buds and your experience in this tea shop. 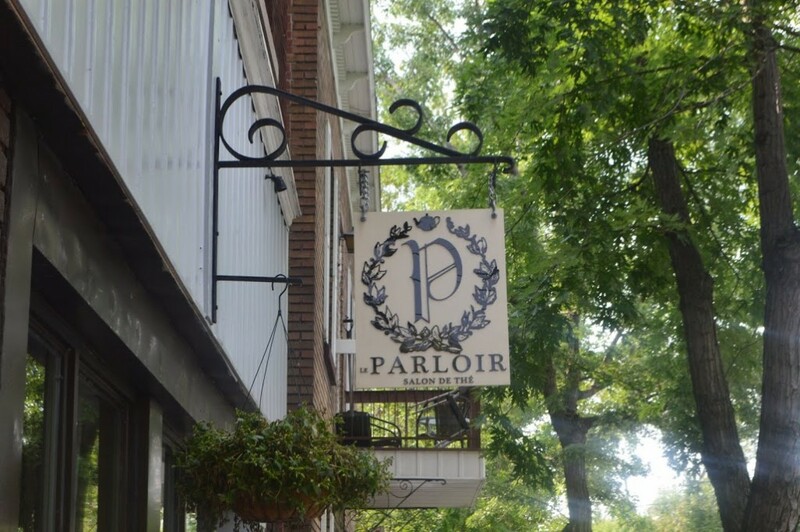 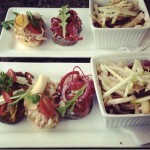 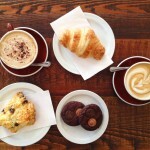 What makes Le Parloir stand out from other cafés in Montreal? 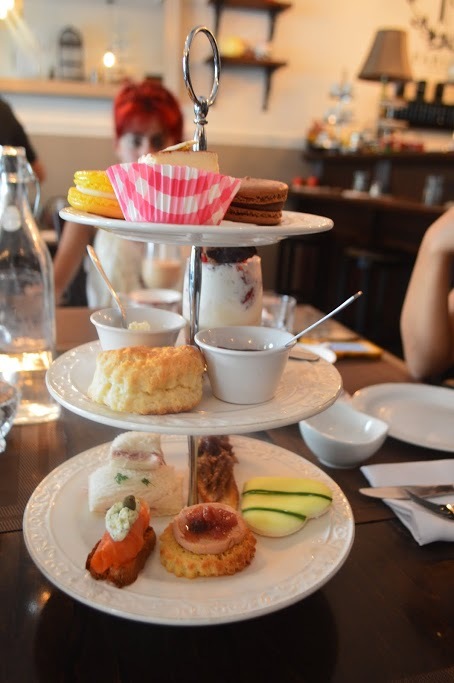 After 2:00pm, you can order The Plateau Heure du thé: a divine three tier stand garnished with 5 salty bouchées which consists of tiny delicious and savoury sandwiches and 5 bouchées of desserts, such as macarons, tiramisu cake, and, of course, scones. 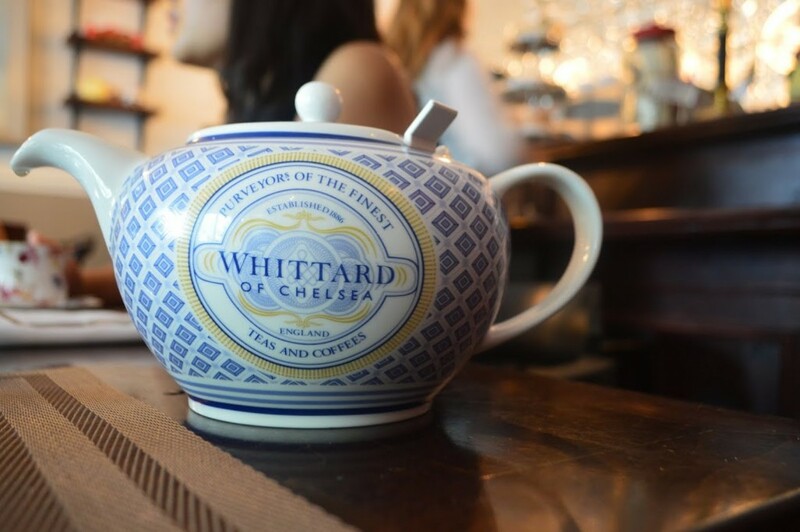 A unique element of this establishment, your tea will be served in a ceramic teacup from Marchand’s personal collection of china. 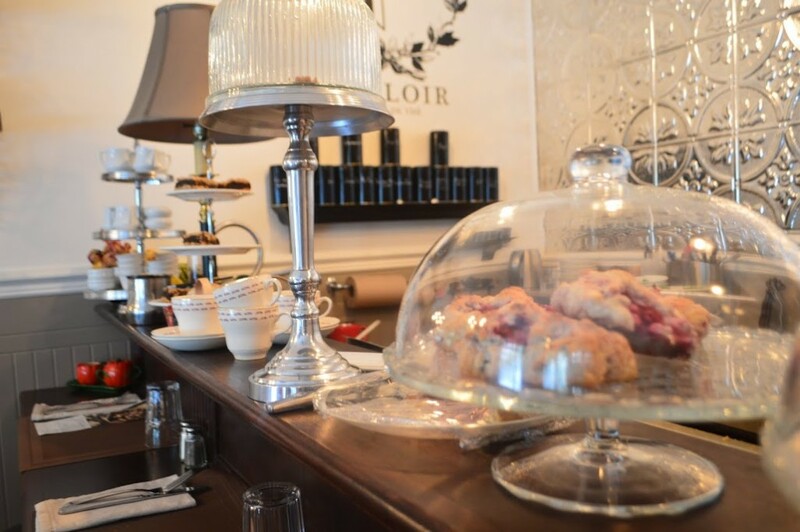 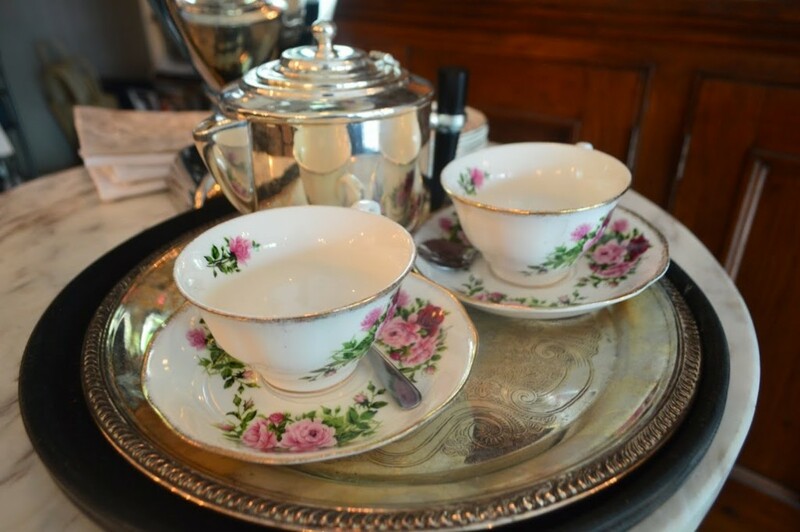 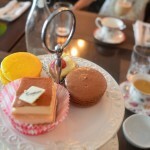 Le Parloir is an ideal place for an afternoon tea party. 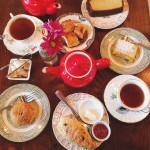 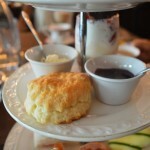 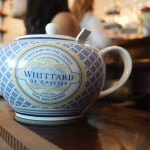 You will enjoy the atmosphere shared by a woman in love with teas, great company, and London.